This beautiful bracelet from Roberto Coin's Portofino collection brings a bit of the Italian Riviera to your wrist brilliantly! 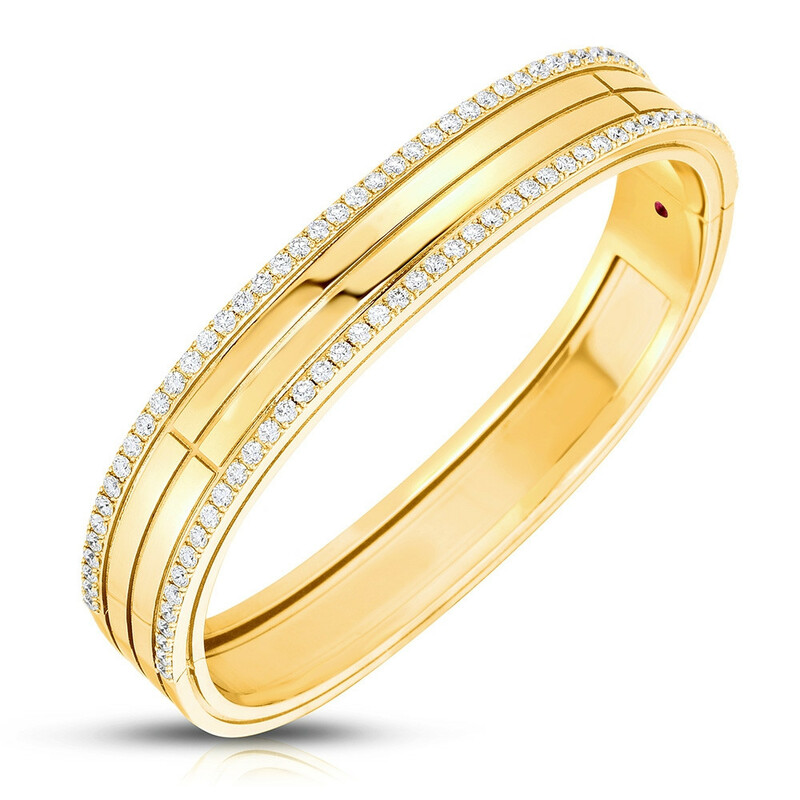 Crafted in 18K yellow gold with white diamonds, it blends Old World craftsmanship with modern design. The four-row bangle features two classically set lines of diamonds on the outside, with a precious metal interior that's carved in a contemporary fashion, forming rectangular compartments. This Roberto Coin bangle bracelet, inspired by the designer's travels, is spectacularly sculptural and sparkly.